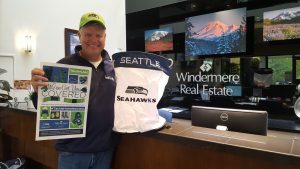 Earlier this year, Windermere and the Seattle Seahawks announced that we were joining together to help #tacklehomelessness. 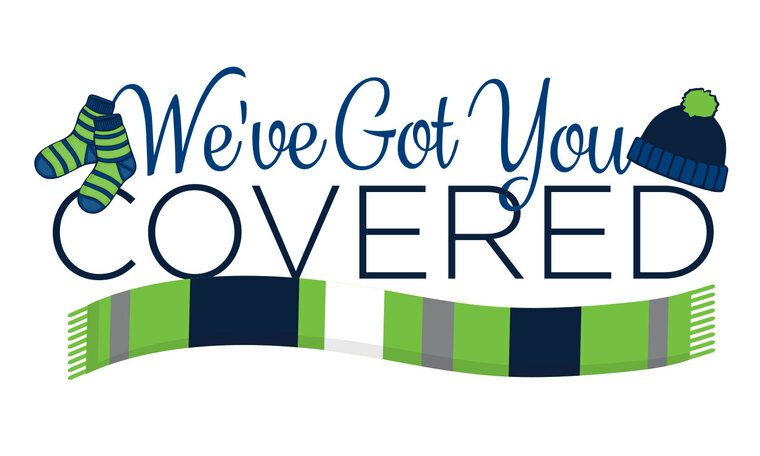 For every home game tackle made by the Seahawks, the Windermere Foundation is donating $100 to YouthCare, a non-profit that provides support and services to homeless youth throughout the Puget Sound area. As proud as we are of our #tacklehomelessness campaign and the money we’re raising, we know we can do more. That’s why we’re excited to announce Windermere’s “We’ve Got You Covered” winter drive benefitting YouthCare. Each night in Seattle, nearly 1,000 young people are homeless. And with the winter months quickly approaching, YouthCare is in dire need of survival supplies to keep homeless youth warm and dry during the long, wet winter. From October 17 through November 14, you can drop off donations to participating Windermere offices in King and Snohomish Counties*. Our friends at Gentle Giant Moving Company are generously donating their time and trucks to pick up all of the donations from our offices. Donations can also be dropped off directly to YouthCare in South Lake Union at the James W. Ray Orion Center: 1828 Yale Avenue. We hope you will consider making a donation to our “We’ve Got You Covered” winter drive. Feel free to contact your Windermere agent or local office for more information, or email justask@windermere.com.